I think one of the most common needs in any business is to create a simple approval workflow for more than one person to approve or deny a request. 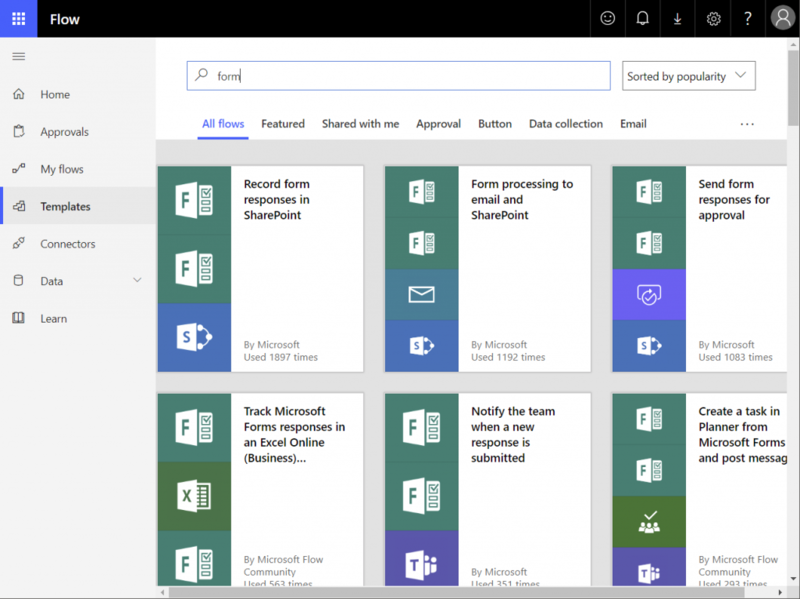 Office 365 has many simple to use tools that can be combined to create a user-friendly solution to this problem. 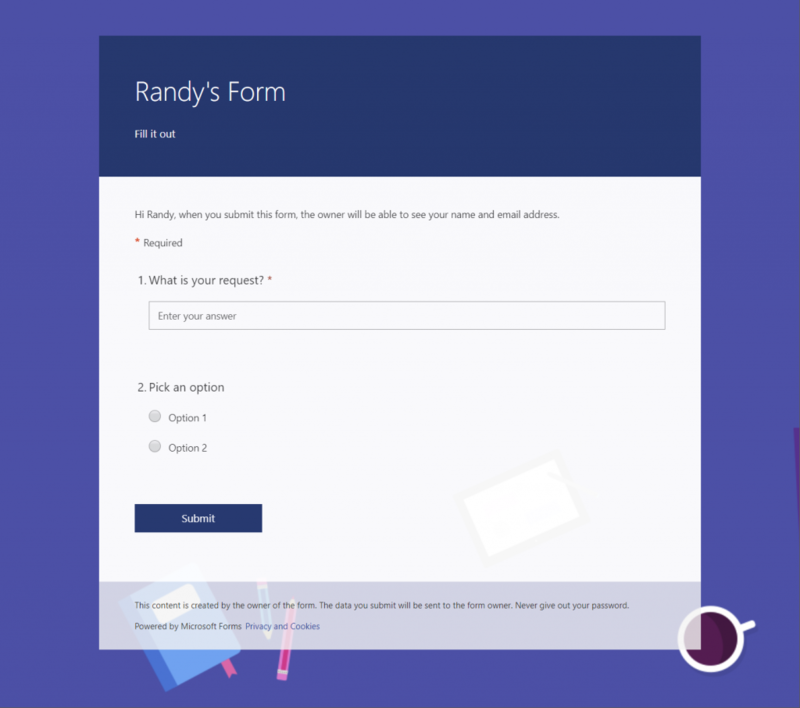 Microsoft Forms can be used to quickly create a form that anyone in your organization can fill out, then a Flow can be created to pick up the responses, write them to a SharePoint list, and then send approval emails to multiple people to approve / or deny the request. 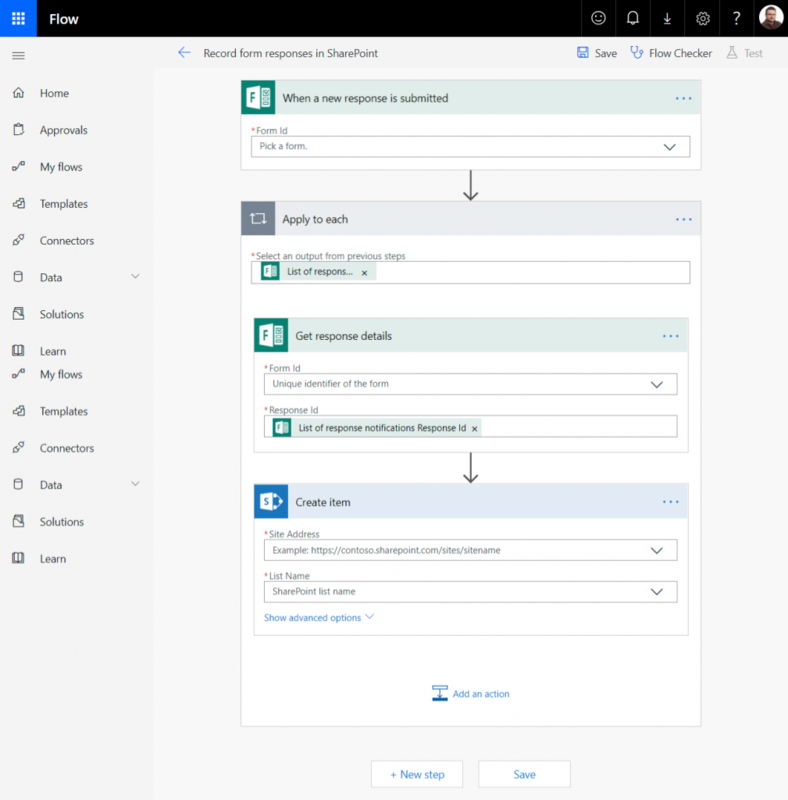 Flow can then update the SharePoint list with the results as well as emailing back the original Form submitter with the result. Step 3: Select your Form again (silly.. I know) and then leave the Response id with the default settings. 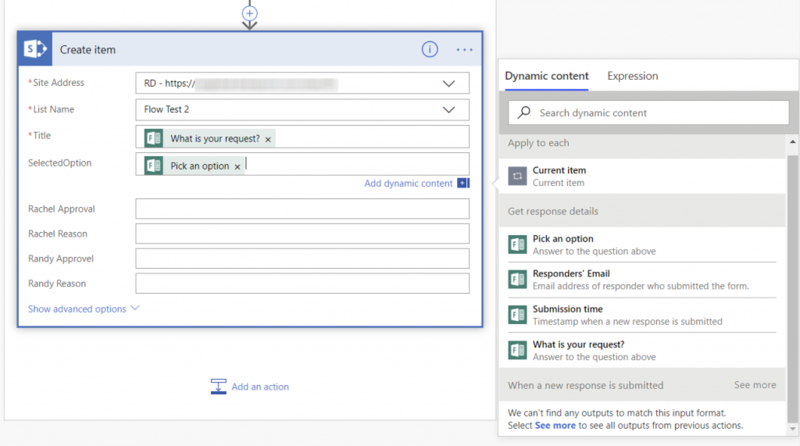 Step 4: Select your SharePoint site from the sites that you have access to. Then select a list from this site (therefore it’s best to have started by creating your list). After you select the list, all the available columns will flow out underneath it. Since we are just collecting Form entries right now, we can just drag Form fields into the Title and Selected Option columns. If all went as planned, you should be able to Save and Test your Flow now. 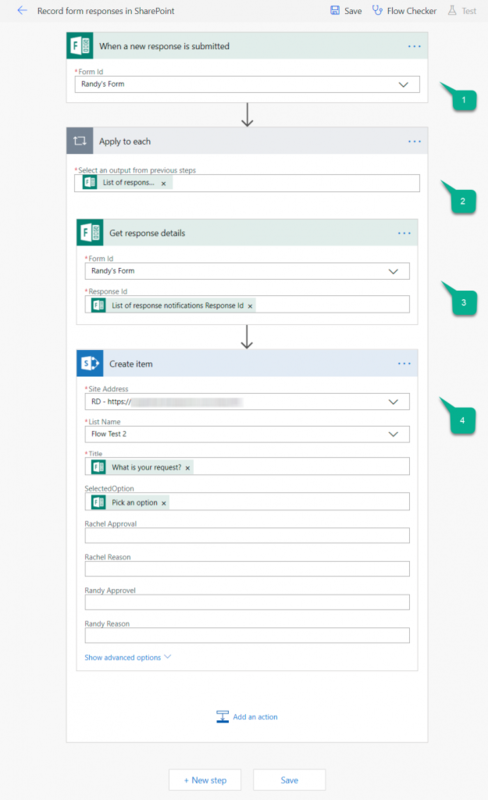 When you submit your Form, it will kickoff the Flow and add a row to you SharePoint list. 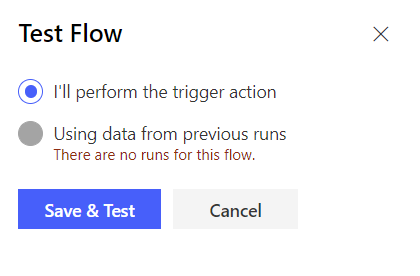 If you get errors, Flow will try to show you what you need to fix. 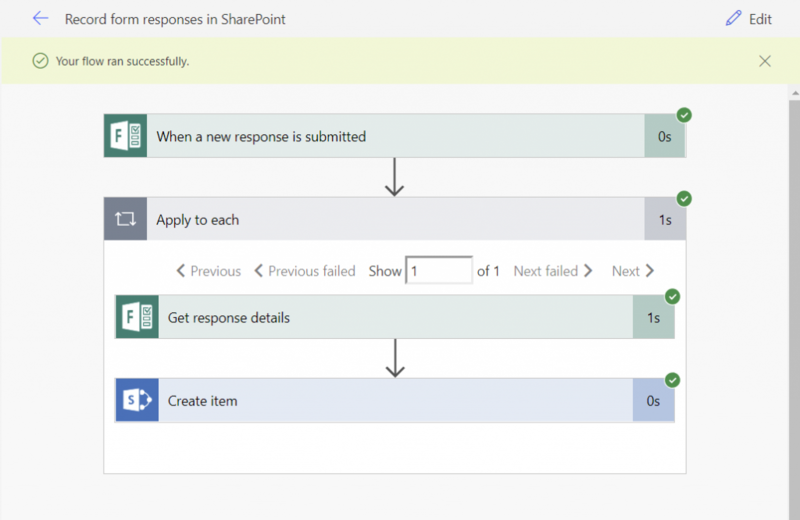 If you run into any problems with Form fields, SharePoint lists, or list columns not showing correct in Flow, try closing the Flow a re-editing it. Sometimes Flow can be a pain about this.